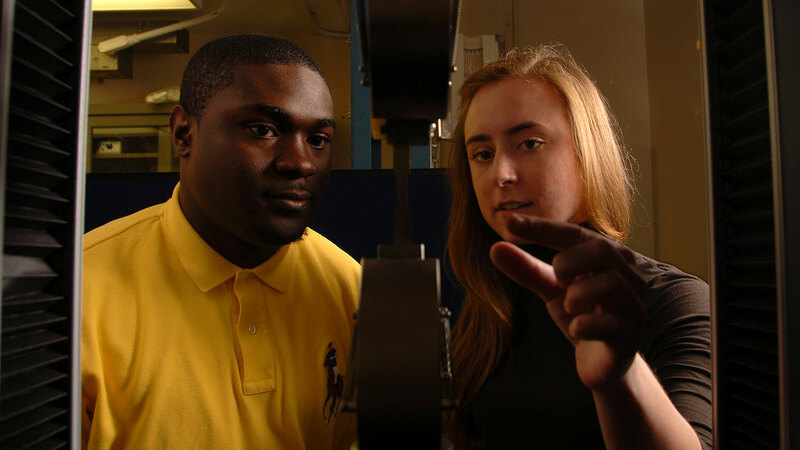 Graduate students drive research in the College of Engineering at NC State. The College is known nationally for innovative graduate degree offerings, a world-renowned faculty and groundbreaking collaborative research initiatives. More than 3,000 students are enrolled in our 13 doctoral and 21 master’s degree programs. The College also offers 16 distance education master's degrees and two graduate certificates through Engineering Online. 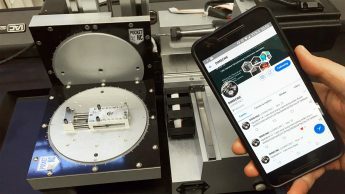 Researchers in industrial and systems engineering are proposing the creation of a public, open-source network that uses blockchains — the technology behind cryptocurrencies — to share verifiable manufacturing data. 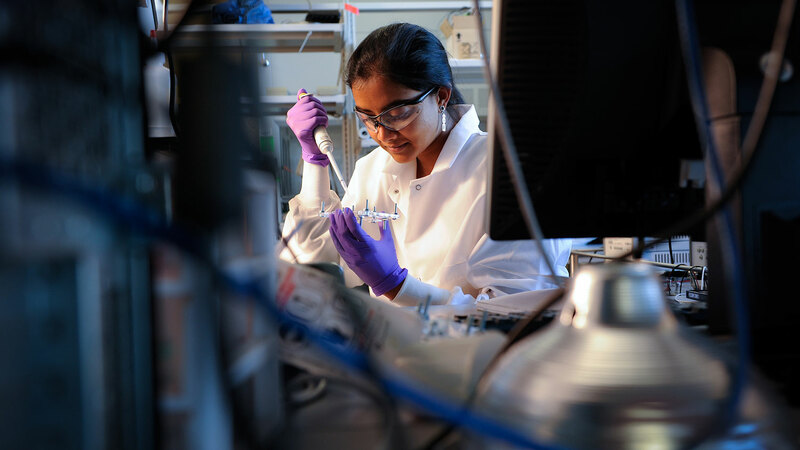 Graduate students in the College of Engineering play key roles in the important work that takes place in our departments and more than 20 centers, institutes and labs, including two active National Science Foundation Engineering Research Centers — ASSIST and FREEDM. They closely interact with our award-winning faculty members who stand among the best in the nation — 2 National Medal of Technology and Innovation recipients, 15 National Academy of Engineering members and 2 Directors of National Science Foundation Engineering Research Centers. They work and study in the state-of-the-art James B. Hunt Jr. Library on Centennial Campus; gain valuable experience through teaching assistantships; and connect with future employers at the NC State Engineering Career Fair, one of the largest events of its kind in the nation. After graduation, our students go on to top-notch positions in industry, academia and research laboratories. It’s the job of researchers in the CFL to break things. And they enjoy it. The facility on NC State’s Centennial Campus enables research, development and testing of construction materials and structural systems at full scale. 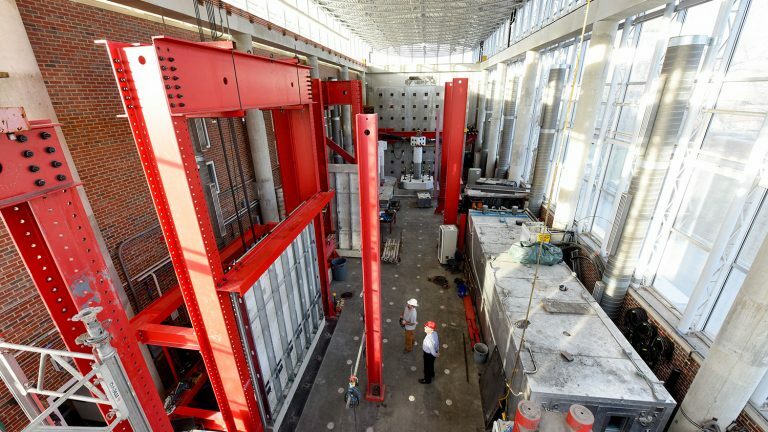 Whether it’s a bridge beam, a parking deck column or a concrete wall, the facility’s 4,500-square-foot structural testing floor can probably handle it. 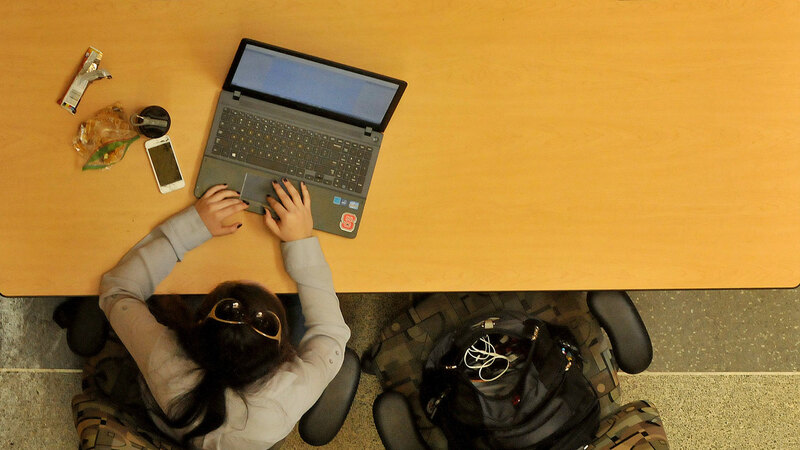 The 2019 US News & World Report ranks NC State’s Engineering Online eighth nationally on the list of Best Online Engineering Programs.